Number 14, which means ~ April ~ EnchantedDandelions gets the poster. Congratulations to the winner, and many thanks to UPrinting for sponsoring! How about a giveaway to round out these last few days of summer? I'm pleased to present you guys with the opportunity to win a customized poster from UPrinting. The website features an easy design tool that lets you add your own images and text, or you can upload completed artwork to print. They also have poster templates, which are available for free download in a variety of poster sizes. Of course, they don't just do posters. They also offer all kinds of promotional products like business cards, brochures, banners, calendars, post cards, you get the idea. But this giveaway is for an 18" by 24" semi or high gloss poster. Entering is easy! All you have to do is comment below telling me that you want to win the poster. Please also leave an email address so I can contact you if you're the winner. Please remember to leave a separate comment for each entry letting me know what you did, as well as any relevant links, otherwise it won't count. This giveaway ends at 11:59 CDT on Tuesday, August 16, 2011. 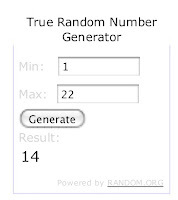 Winner to be chosen from the comments using random.org and will be notified via email. Winner will have 48 hours to claim their prize. Semi Gloss / High Gloss, 1 Business Day Turnaround. Restriction: Limited to US residents 18 years old and above only, who have not won a contest or giveaway sponsored by UPrinting in the past 6 months. This giveaway is sponsored by UPrinting. No monetary compensation was given, and I will receive a poster for hosting. 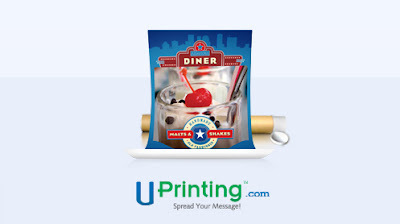 Check out UPrinting.com to see more of their poster printing options, poster sizes and poster templates. I would love to win this poster! Would love to win! Fingers crossed! I would love to win the poster. I like Uprinting.com on Facebook. (Anja M. Anjathisandthat). I want to win the poster! I will put a certain Taco on it! I would love to win a poster I could make for my classroom.